MultiBrief: Can you be held personally liable in an employment lawsuit? Can you be held personally liable in an employment lawsuit? Case law under Title VII of the Civil Rights Act of 1964, the Americans with Disabilities Act (ADA), and the Age Discrimination in Employment Act (ADEA), generally holds individuals cannot be found liable. "[Plaintiff’s] attorneys regularly file suit in state court for violations of these [discrimination] statutes against individual employees, knowing that they likely will be defended and indemnified by the employer, for the ostensible purpose of educating and deterring them from unlawful behavior. This court fails to see any need to file a lawsuit to deter such unlawful behavior. Even if employees are not sued individually, their employer surely will take appropriate action to deter any future behavior. [Plaintiff’s] attorneys also admitted that as a matter of course they sue employees prior to engaging in discovery and obtaining any evidence as to how complicit the employees may have been in the alleged discrimination or retaliation. Instead, they appear to presume that any employee who questions the plaintiff's work performance should be sued." Being named in a lawsuit puts individuals in a terrible position of having to personally defend themselves. Even if they are able to eventually get dismissed from the complaint, they do not come out unscathed — they often get stuck paying defense costs and are usually subjected to the invasive discovery process. Sometimes plaintiffs may recover from supervisors, managers, and HR directors. At the state level, New Jersey, New York, Massachusetts, Connecticut, Ohio, Oregon, Pennsylvania, and Washington are among the states that allow plaintiffs to bring claims against individuals under the theory that they "aided and abetted" discrimination or harassment. Likewise, many states allow plaintiffs to bring claims against individuals who "retaliate" against them for engaging in protected activity. 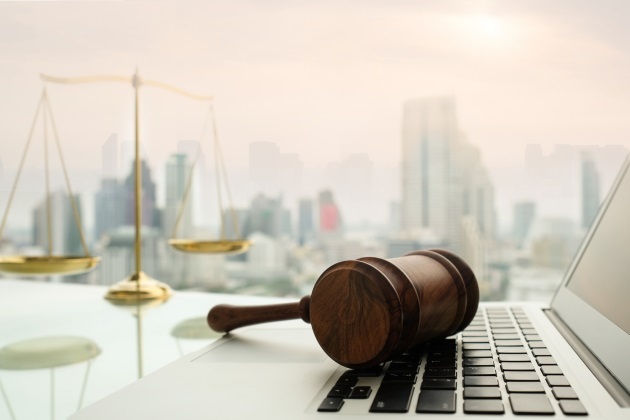 These types of laws may continue to sweep across the country as the states that have enacted them are generally at the forefront of employee rights. At the federal level, individuals can be found personally liable for violations of the Fair Labor Standards Act (FLSA), the Family Medical Leave Act (FMLA), Section 1981 of the Civil Rights Act, the Uniformed Services Employment and Reemployment Rights Act (USERRA), the Employee Retirement Income Security Act (ERISA), and the Immigration Reform and Control Act (IRCA). For instance, a 2017 case out of the Eastern District of Pennsylvania recently held that an HR Director may be individually liable for FMLA and wage violations. In Edelman v. Source Healthcare Analytics, LLC, the court determined that there is individual liability under the statute because it defines an "employer" to include "any person who acts, directly or indirectly, in the interest of an employer to any of the employees of such employer." The court next found the HR director acted in the interest of the employer when she terminated plaintiff. The court reasoned that the HR director is subject to personal liability under the FMLA because she exerted control over plaintiff’s specific leave and because she terminated her. Using this same reasoning, it appears that the court would have likely reached this same conclusion if it was a manager, or perhaps even a general counsel, who advised the plaintiff of her FMLA rights and subsequently terminated the plaintiff’s employment. An even more recent case out of the Eastern District of Pennsylvania denied a defendant’s request to have a race discrimination claim against the individual supervisor dismissed. In a 2018 case against a trucking company, the plaintiff made four different attempts to sue a former supervisor. The fourth time was the charm, as the court recently concluded that the plaintiff pled the bare minimum for his race discrimination claim to survive against the supervisor under § 1981. Interestingly, the only allegation relating to possible race-based discrimination was plaintiff’s allegation that the supervisor ordered him "to go home early" and "leave work until his next scheduled shift." The supervisor allegedly made this demand upon learning about plaintiff’s report to another employee of disparate treatment between Caucasian and African-American employees. That case should serve as a cautionary tale to all HR directors, managers, and supervisors as there were no other allegations of race-based discrimination against the individual supervisor. In fact, there were no allegations that the supervisor had any involvement in the decision to terminate plaintiff. Further, there were no allegations that the supervisor played a role in the union's investigation and hearing. The court simply concluded the supervisor’s decision to send the plaintiff home was enough to survive a motion to dismiss. To better protect yourself and the company, you should ensure your employee handbook accurately reflects the ever-changing laws related to protected classes and all forms of harassment; update the handbook regularly and follow the policies in it. Secondly, schedule annual training sessions with managers and non-managers on legal-related matters, such as your EEO, No Harassment and Electronic Communications policies. These training sessions will act as a defense in the event of a lawsuit. Also, the training sessions will put employees on notice that they may be personally liable for violations of both state and federal employment statutes. Finally, be mindful to create records that show that your company and you are in compliance with all applicable laws.